Check out Marvin's IMDB page here. 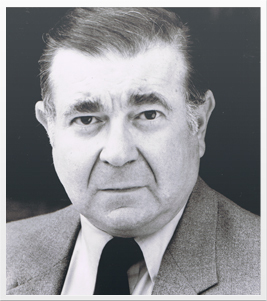 Born in Brooklyn, New York, Marvin Kaplan is an actor, writer, and producer devoted to theater and film. Discovered by Katharine Hepburn in 1949, he landed his first film role in Adam’s Rib, starring Katharine Hepburn, Spencer Tracy, and Judy Holliday. Marvin was unforgettable as the court stenographer who asks Spencer Tracy, in his trademark deadpan style, how to spell "Pinky," a private pet name for Hepburn’s character that Tracy had accidentally used in court. Click to read how Katharine Hepburn discovered Marvin and acted as his "agent" for this role. Thanks to his deadpan delivery in his native Brooklyn accent, Marvin landed parts as a comedian and character actor in a wide variety of films, theater, live television, radio, commercials, and animation. Perhaps best known for his recurring role on the 1970s CBS series Alice, Marvin portrayed a phone company employee named Henry Beesmeyer who frequented Mel’s Diner. From 1952-1956, he had a regular role in the TV sitcom Meet Millie as Alfred Prinzmetal, an aspiring poet-neighbor. In the 1960s cartoon series Top Cat, Marvin was the voice of Choo-Choo. Other career highlights include roles in the 1963 madcap comedy It’s a Mad, Mad, Mad, Mad World (Marvin played a gas station attendant opposite Arnold Stang and Jonathan Winters in the classic gas station sequence); Blake Edwards’ 1965 comedy The Great Race alongside Tony Curtis, Peter Falk, Jack Lemmon, and Natalie Wood; and the 1963 comedy, A New Kind of Love, starring Paul Newman and Joanne Woodward. Marvin served as AFTRA Los Angeles Local President for eight years and Performers’ Governor on the Television Academy. He is a member of the California Artists Radio Theatre, Motion Picture Academy, Theatre West, and Academy of New Musical Theatre. Marvin was extremely active in theater and film. An engaged, creative, and talented writer, actor, and producer, Marvin Kaplan wrote and produced an award-winning full-length film in 2010, Watch Out for Slick. He regularly wrote, produced, and acted in plays throughout the Los Angeles area, particularly California Artists Radio Theatre and Theatre West. In fact, a review of Sol Saks’ Faces of Love play at Theatre West notes, "Marvin Kaplan is an instantly recognizable actor, and a crowd favorite. … the piece works best when it lets Kaplan showcase his comic abilities." Click to view Marvin Kaplan’s complete filmography. "Marvin Kaplan is an instantly recognizable actor, and a crowd favorite. … the piece works best when it lets Kaplan showcase his comic abilities."